Another week, another top 5. This time it’s the top 5 genres we love and why we love them. So without further ado…. 5. Racing – Whether it’s simulation or arcade racing, this genre has always captivated me with its varied scope. Burnout Paradise got me back into arcade racing like none other, and Forza Motorsport 3 is by far my favorite simulation racing game of all time. The two I mentioned are vastly different: One prefers breakneck speeds and being able to knock down other racers by tapping them into the side, while the other is an intense racing simulation that, unlike other sim racers, allows for different degrees of entry into the sport. 4. Platformer – This is the genre that got me into video games, so it’s not surprising that this is part of my Top 5 this week. There’s a different kind of precision that’s required when playing platformers that allows for a certain amount of leeway for mistakes. It’s not impossible to beat a lot of these, and the concepts certainly aren’t difficult to grasp, but it’s definitely a genre that has aspects that are difficult to master – and that’s coming from someone who’s played these games for more than 30 years! 3. Shooter – Action is what defines a lot of people’s love for gaming these days and I’m no exception. Shooters, whether first or third person, define a brand of action gaming that seems to keep going without any foreseeable end. While many are quick to proclaim the genre’s death coming soon, the fact remains that right now that developers are still extracting a lot of new tricks to keep this popular genre from waning. 2. 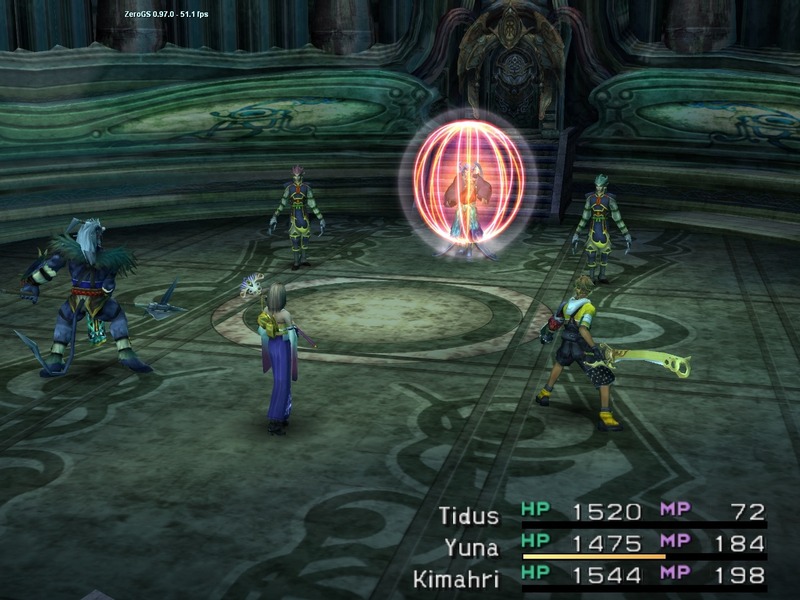 RPG – From Final Fantasy to Mass Effect, RPGs have always been a staple of my gaming lifestyle. What other genre can you be given absolute power to shape the world as you see fit, up to the naming of each of your party members? No doubt, RPGs have provided a unique brand of personalization unlike any other genre out there which is most likely why we’re seeing bits and pieces of it in non-traditional RPG genres like shooters and the like. 1. Action/Adventure – Ever since I was young I’ve always loved the feeling of exploration. Whether it’s to uncover ancient ruins or discover buried treasure, adventure is what propels my interest in gaming. Adventure is all about the sense of discovery and wonder, and I feel that since our current and next generation platforms are now, more than ever, able to craft bigger and more believable worlds, we’ll be exploring vast spaces and coming up with brand new adventures soon. You can blend adventure with every single genre that I’ve mentioned in my Top 5 right now and you’ll discover that there’s a bit of it in each. 5. Music / Rhythm – As a performer and a person who loves music, it was easy to become addicted to music games. The first one I ever played was Parappa the Rapper, and I absolutely loved its first sequel, Um Jammer Lammy. Parappa the Rapper 2 ended up being a huge disappointment, but I’d still like to see that series of games make a comeback. But it was a far more obscure music game that really got me into the genre. Around the turn of the millennia, Beatmania appeared in the arcade of my college. To anyone that’s played Guitar Hero or Rock Band, you can thank Beatmania for pioneering (or at least making popular) the kind of gameplay where notes fall down the screen and have to be played at a specific moment. The controller for Beatmania consists of 5 keys laid out like a miniature keyboard and a turntable that is used for a 6th lane of notes. Years later the sequel, Beatmania IIDX added two more keys bringing the total up to 7 plus the turntable. I became incredibly addicted to IIDX, wasting away hundreds of hours attempting to complete and perfect note charts that made the hardest Guitar Hero songs look easy by comparison. We’re talking well over 1000 button presses in a minute and a half. To this day Beatmania IIDX is still my favorite music game, and I’m sorry that it never became popular in the United States. But why is the genre fun? It combines my two greatest passions! How could it not be fun? 4. MMO – Believe it or not, the first time I got hooked on a massively multiplayer online game was before Everquest. I played that too, of course, but it was a MUD (multi-user dimension) that first pulled me into the unrelenting addiction of a massively multiplayer online games. Medievia Cyberspace was entirely text based. Controls consisted of keyboard shortcuts that were used to move the player character around the world and to interact with other players, NPCs and enemies. Everquest was basically the same game but with visuals and sound instead of text descriptions, and World of Warcraft followed suit. I love the genre because of the enormity of the worlds that can be explored and the social element of playing with friends and strangers. It helps that these games are usually RPGs which (spoiler alert) is my favorite genre of all. 3. Strategy – I rarely get into eSports. StarCraft is the exception. When I am in the mood for strategy games, StarCraft becomes an absolute obsession, and I can sit there watching pros playing against each other for hours. But putting that aside, I also love playing strategy games. I’ve put my share of time into all of the Blizzard strategy games, and I really enjoy them both for their exceptionally deep competitive multiplayer and their excellent single player story campaigns. Admittedly, I’ve been less entertained by real time strategy games made by other developers, but I digress. Outside of real time strategy, I also enjoy strategy RPGs like Disgaea and Final Fantasy Tactics. 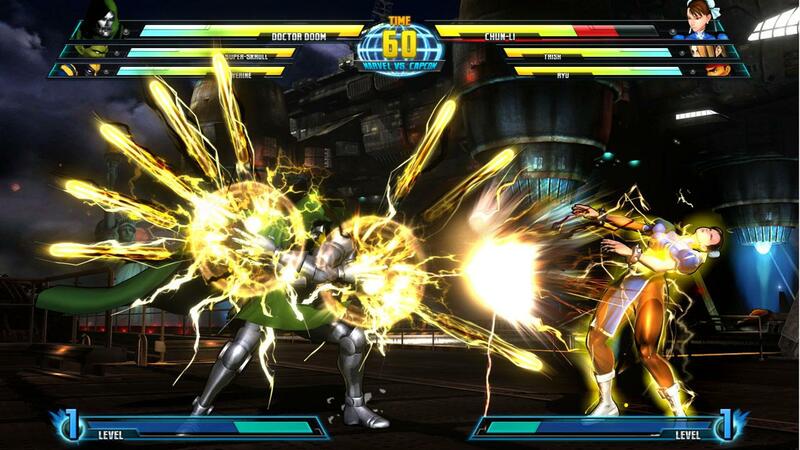 I love all of the different classes the characters can be made into and the punishing difficulty of combat. As a rule though, I like games that make me think, and this genre is perfect for that. 2. Simulation – I love simulation games liked SimCity and Rollercoaster Tycoon. I may not play them as often as the other genres on this list, but that’s mainly because it is a genre that doesn’t see as many new releases compared to the others. I think my favorite thing about the genre is starting from nothing and building something amazing. Whether it’s a city, a theme park, an underground dungeon of hero slaying traps, an entire world or even an ant colony, simulation games provide hours of entertainment both for those seeking a strategic challenge and those eager to exercise their creativity. 1. RPG – I once described role playing games as “playing a book” to try to make my hobby relatable to the overwhelming majority of people that were not interested in such things when I was a kid playing Final Fantasy, Phantasy Star II and Dragon Quest III. Now years later, I don’t even need to explain why I enjoy RPGs. They are a part of a widely accepted genre belonging to a hobby that is internationally recognized. But for the sake of this list, I’ll give you a couple of reasons why I enjoy them so much. One, good RPGs have epic storylines and engaging characters. Two, dealing with confrontation in them is less about reflexes and more about strategy. Three, customizing and developing characters is fun; it’s great to watch them grow from relatively weak combatants into fearsome warriors. Four, I’m not sure why, but RPGs tend to have amazing music. Five, RPGs transport me to another place and take me away from the real world more effectively than any other genre. 5. Puzzle – Puzzle games like Peggle, Bust-A-Move and Tetris are really fun to play. I can spend hours sitting around clearing stages. My two favorite puzzle games just happen to be PuzzleQuest and Puzzle Quest Galactrix. I liked the story portion and exploration features mixed in with puzzle combat. 4. RPG – I love a good RPG every now and then. It all depends on the RPG in question. I’m a fan of the Final Fantasy series and love Final Fantasy VII over the rest. I’ve been playing through Valkyria Chronicles and 3D Dot Game Hero lately on the PS3 and am enjoying every minute of it. I’m also waiting for another Fallout game because Fallout 3 was great but Fallout: New Vegas wasn’t. 3. Survival Horror – Who doesn’t like to be scared in a game? I enjoy a game that can draw me in enough and deliver a well time fright. Dead Space, Silent Hill and Resident Evil did a good job at this. They also has great stories but my favorite horror game has to be Alan Wake. It had it’s frightening moments but it was the story that drew me in and made it great. 2. Action/Adventure – Games like Batman Arkham Asylum, Ratchet & Clank are some of my favorites of all. Action/Adventure games tend to be very diverse offering a wide variety of play. Beyond Good & Evil did this very well it offered exploration, combat and racing throughout the game. There is supposed to be a sequel to Beyond Good & Evil and I’m waiting for any news as all of you are too. 1. Shooter – I picked shooters as my number one for one reason. Mass Effect. This game falls into different genre’s but there is more shooting in the game them anything else. I loved the story, the characters and most of all the weapons. Aside from just playing, upgrading my weapons was my favorite pass time in the game. 5. Horror – Not just survival horror, but horror as a whole. There are so many to choose from. From little talked about gems like Clock Tower, to most recently the brilliant The Last of Us, horror games that can evoke a palpable sense of dread, tension and excitement can rival even the best horror films. 4. RPG’s – From the very first Dragon Warrior and Final Fantasy on NES to Mass Effect and Skyrim on the 360 and PS3, I love losing myself for hours (255 in Skyrim) in the worlds, chasing the stats and creating a molding a character to my specifications – I also name every character that can be named, Sean. When it comes to RPGs nothing tops Star Wars: Knights of the Old Republic for me. A Star Wars RPG was a no-brainer for me. That it would not only be an amazing RPG but arguably the best Star Wars fiction ever created was not only a bonus but an amazing surprise. 3. Open World – Every single Grand Theft Auto. ‘Nuff said. 2. 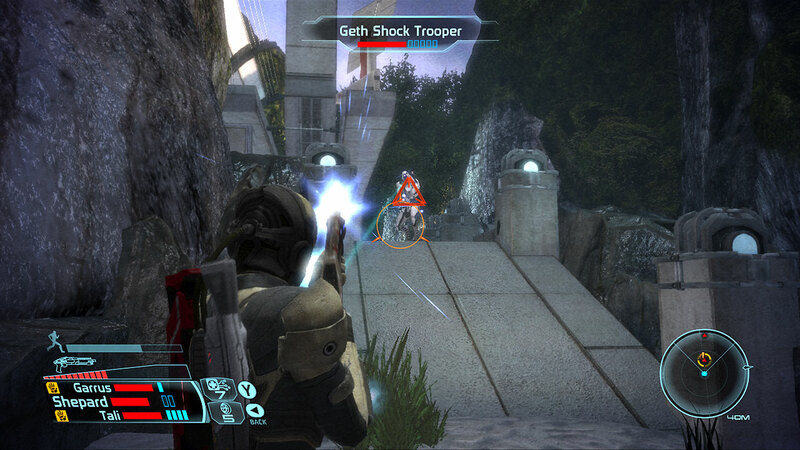 First-person Shooter – The funny thing is that I used to hate this genre. Games like Turok and, I know this is blaspheme, Goldeneye did nothing for me. Yet years later I’ve taken off from work on Rainbow Six: Vegas 2‘s launch day and spent hours stalking out and taking over enemy compounds in Far Cry 3. Though if I had to crown one game as the king of my shooter kingdom, it would be Call of Duty 4: Modern Warfare. The controls are perfect and the multiplayer was beyond addictive. In fact, I’ve bought every Call of Duty on day one and have sunk hours into each and everyone. 1. 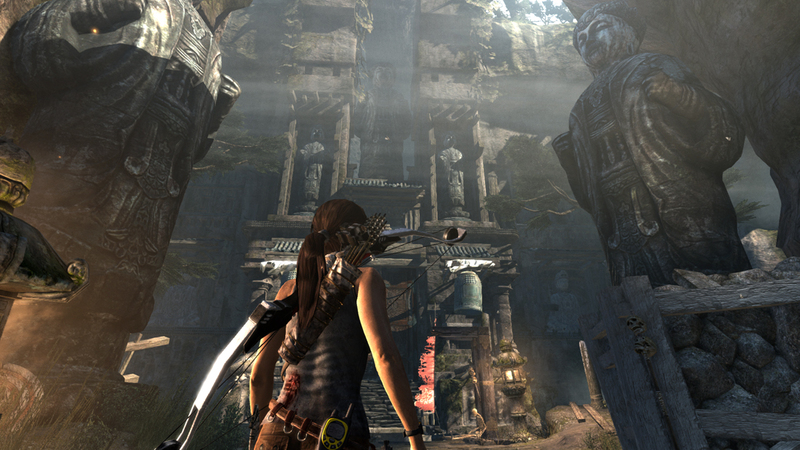 Action/Adventure – Ever since I played the original Tomb Raider action/adventure games have been my number one genre. From the exploration of fantastic worlds with tons to see, collect and find. 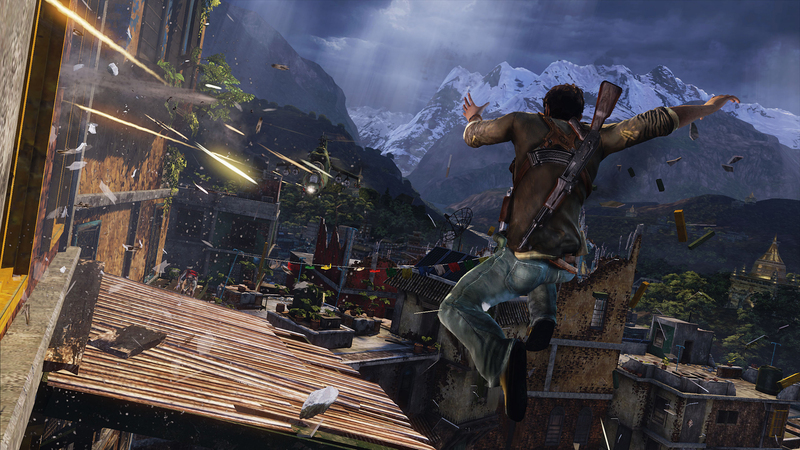 For me the pinnacle of the genre is Uncharted 2. An awesome story, beautiful graphics and the best action moments in any game I’ve ever played make this my favourite game in the genre. Nothing tops the truck chase towards the end which finds the player controlling Nathan Drake as he goes from fist fights, to gun fights all while jumping from flaming truck to flaming truck. 5. – Platformers: There’s nothing like a good platformer to test your old school gaming ability. Go play the Special World of Super Mario World and see if you can complete it before your mind shatters from the frustration. It’s a great way to compare how good you are versus how good you used to be. 4. – Driving Games: Didn’t enjoy these that much until I got a racing wheel with force feedback. It’s amazing how much the right peripheral changes your perspective of a genre. With a wheel, it’s easier for me to make subtle adjustments. 3. – Rail Shooters: Perhaps it’s my arcade background that makes me love these titles, but with innovations in motion and IR control for home systems, it’s no longer necessary to have crazy one-off peripherals to play rail shooters. Time Crisis and House of the Dead are great when you don’t have to pump quarters into them forever. 2. – First and Third Person Shooters: Amazingly, I’m not that good at multiplayer shooters, but I love the experience. With a great sound system or headphones, you can get really into the experience, and forget where you are. 1. – Fighting Games: There’s nothing like going 1 on 1 with someone else with only your skills on the line, and placing your mental mindgames against someone else’s. Only you have yourself you blame for a loss, although I really enjoy reading whiny messages from players who lose.